The latest version of Google's Android app has done away with the Google Now branding, but there's something else lurking inside v6.5. That "In Apps" feature that was first officially announced a few weeks ago and mentioned alongside the LG V20 unveiling has showed up. As the name implies, it lets you search inside your apps more easily. If you're in the beta, or you grab the latest version from APK Mirror, you can find the In Apps section in the settings. Tap the "Add" button to place a shortcut to In Apps on your home screen. This provides an instant link to the on-device search UI. It will look through all supported apps when you type a query, but specific ones can be disabled in this menu. 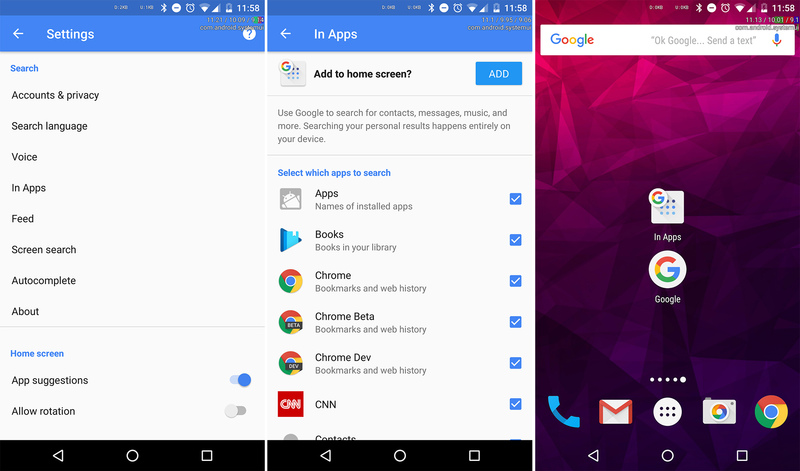 In Apps search is available to any app, but not all of them have support. In Apps is also accessible on the far right of the search options bar in the Google app; past shopping, videos, apps, and so on. It's easier to just use the home screen shortcut. 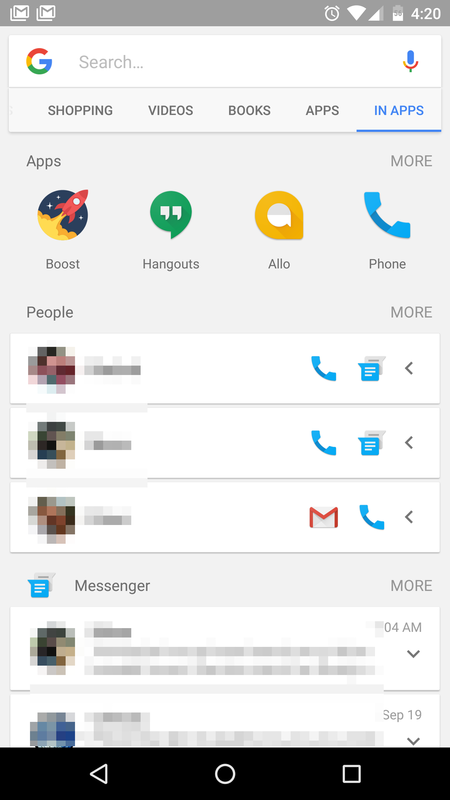 Before you search for anything, the In Apps UI offers some useful information like frequent contacts and recent messages. So that's another reason to use the shortcut.